Today's Mid Week Match-Up request comes from Balzac who writes -- so apparently now VW will make me whole for the lying, cheating TDI wagon that I love. They will have to pry it from my cold dead hands... Or offer me significantly more than I paid for it, since I scooped it from a friend who sold it to me because he was super pissed at VW. Now he's gonna be SUUUPER pissed. The car is gonna be worth in the neighborhood of $16k after adjustments for high mileage and manual transmission. We can probably add another $10k so up to about $25k. I need something for me and my wife and our dog to get back and forth from the Bay Area to SW Colorado 3-4 times a year. It will be a daily driver and must be AWD or 4x4. I know all about snow tires, but my wife is more comfortable in the snow with all wheels engaged. Chain up requirements are also a pain. I know it limits our options and will have a negative impact on fuel consumption. Manual trans a plus, but not strictly required. Decent mileage and range preferred. Would love another diesel, but open to gas. Must be able to tow 2000#. The Sportwagen has heated seats and I doubt we can go back. 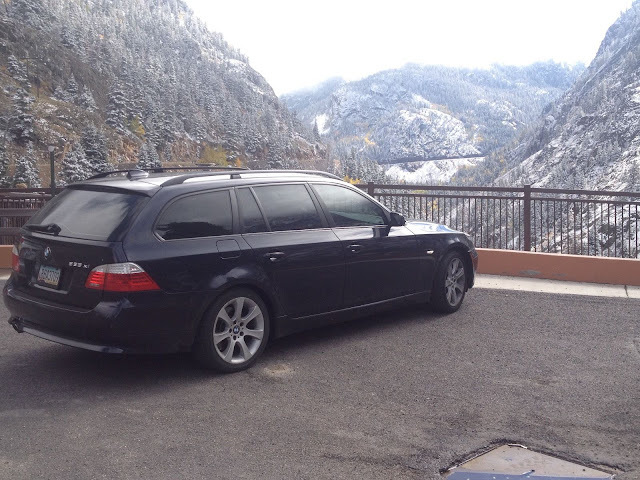 DT E-i-C Vince: I found the unicorn of all unicorns here: a E61 generation 2008 BMW 535xi wagon with a 6-speed manual gearbox. 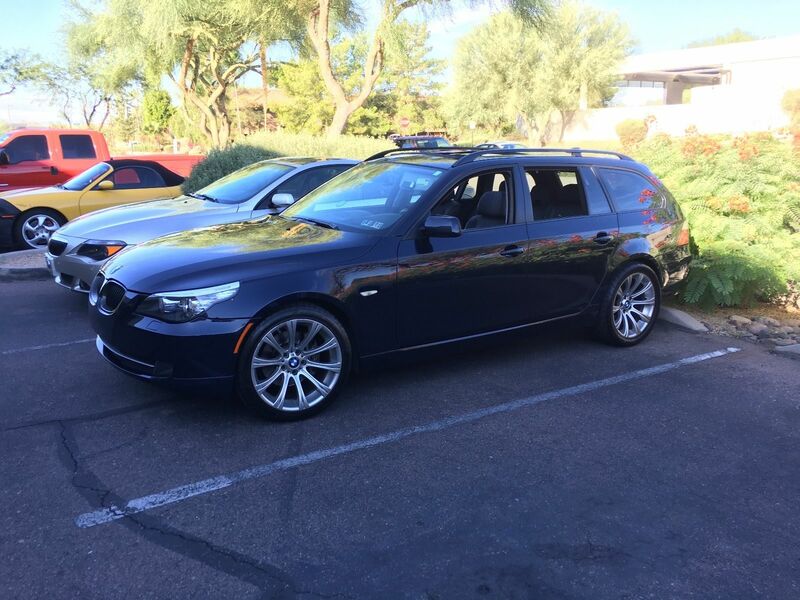 You can find the all-wheel-drive, turbocharged inline-6 wagon with panoramic sunroof here on eBay offered for $23,795 buy-it-now located in Phoenix, AZ. The price is mighty high for something with 100k miles and a major accident a few years ago...but try finding another one for sale. What would you suggest for Balzac? Comments below. Get that wagon, put snow tires on it anyway. If I had a wife, and I had to insure her, I'd make damn sure she had as much grip as possible. 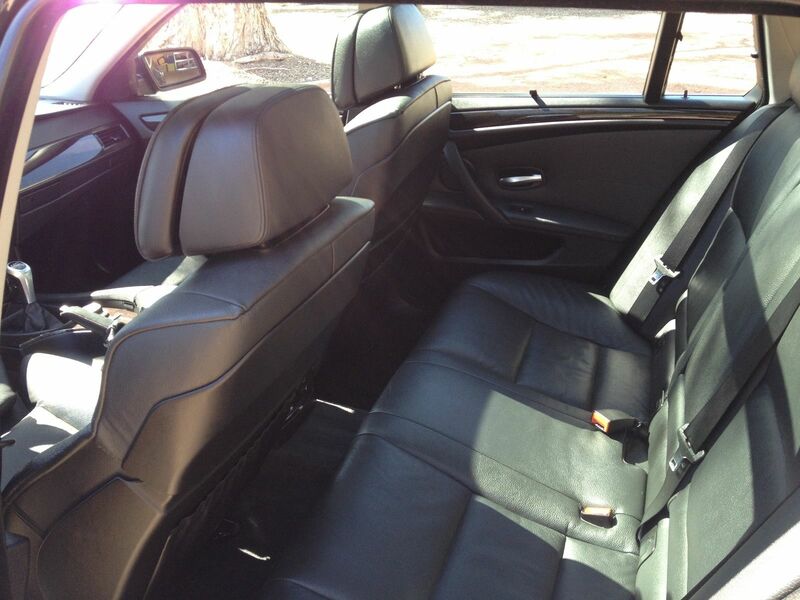 I kinda like that wagon, though I'm still not fond of the E60 interior. It the way they look is not a problem*, pick a Subaru , any Subaru. In terms of snow, if you can open the doors you can drive. When I had one in Brooklyn and and I got plowed in ( it has nothing to do with being in a bar at closing , although it's not mutually exclusive ) I never had to dig out. I just drove over/through the drift. The SUV driver that was waiting for the parking spot had to dig their way in. This was with all season tires. The outback variants have more clearance if that's important, I pulled the exhaust system off my imprezzia in the snow once. Oh and they are a hoot to parallel park in the show. With judicious use of the handbrake and wheelspin you can make it slowly go sideways. Torque is biased to the rear, so it doesn't feel like AWD most of the time. if you want to break the rear loose a little you can. MPG is adequate. Oh, the body doesn't rust but the suspension does. remember: Subaru, they're not just for lesbians any more! ^Get one of those Subarus wearing a Saab suit if that's an issue.